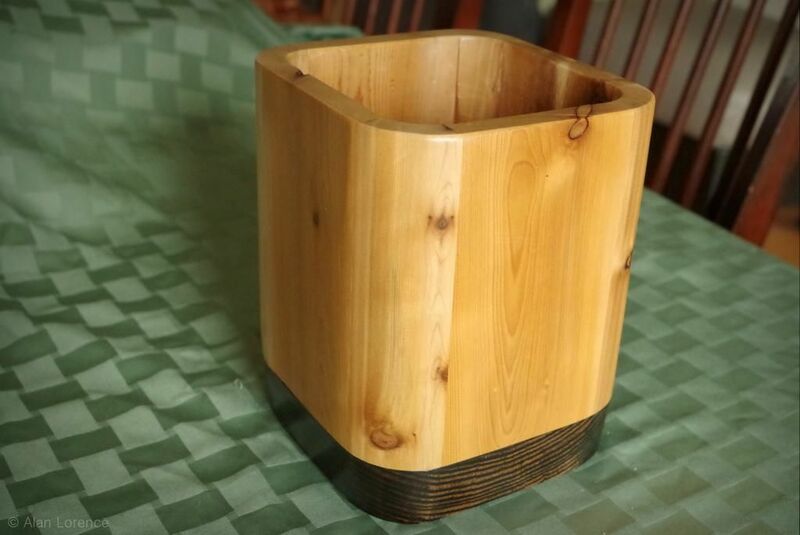 A couple of weeks ago I introduced you to the Bayce, a plant container/stand that I make by hand here in St. Louis (and that you can own). Today, meet Mini-Bayce, the smaller version of Bayce! Just under 7" (17cm) square and about 8.5" (21cm) tall. So cute! Whereas Bayce is best used as a somewhat "permanent" planter, Mini-Bayce is meant to be more personal. 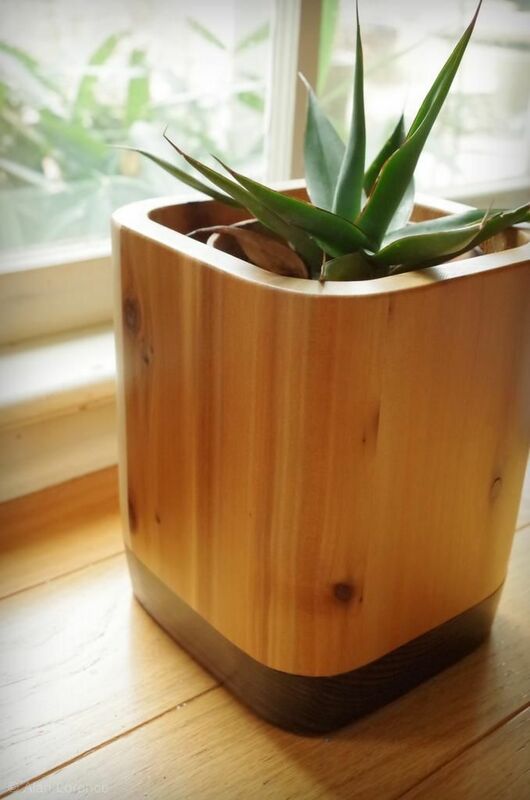 Looks great on your desk, as a table centerpiece, or wherever you want a bit of natural wood beauty to complement your favorite small plant! Oh. 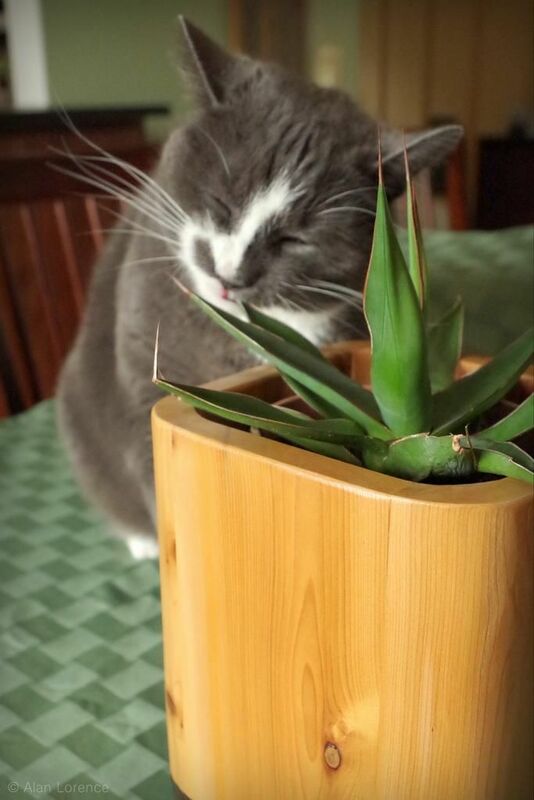 He just wanted to chew on the Agave spikes. 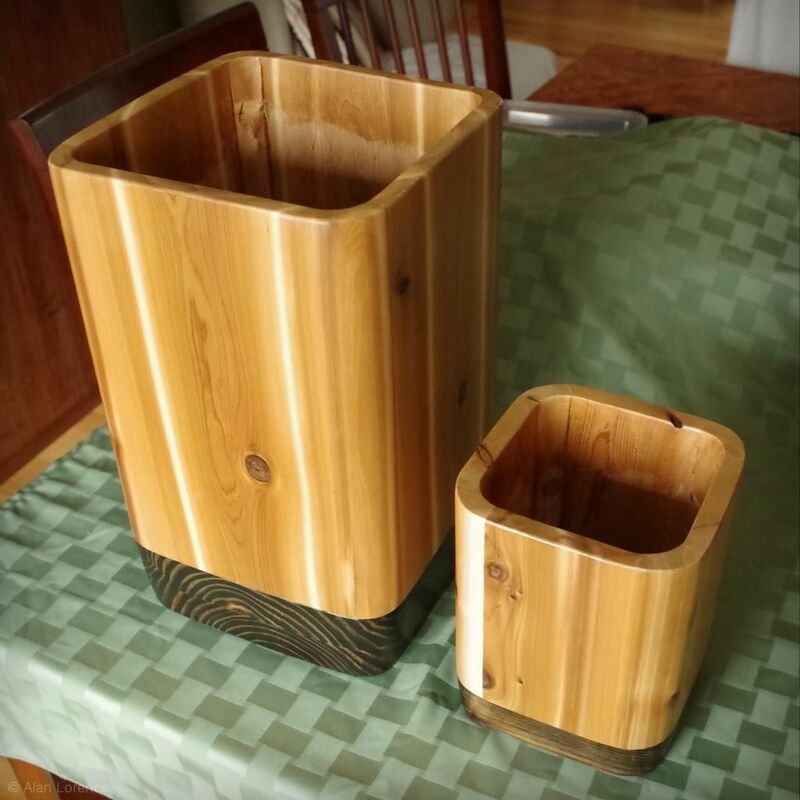 Mini-Bayce is available from the Nimble Mill website -- I'm looking for dealers interested in carrying these, so if you want to see them at your favorite local garden/decor shop please get in touch! Any questions or comments? As always, I'd love to hear what you think! Congrats on yet another fantastic design. Since this one is much smaller, it should be easier and cheaper to ship as well. I can't believe Tagg likes to chew on your agave. Doesn't he get poked? Awww, Mini-Bayce is so cute! Gerhard: Tagg is not the only one who chews on them -- his mom does too. So weird. 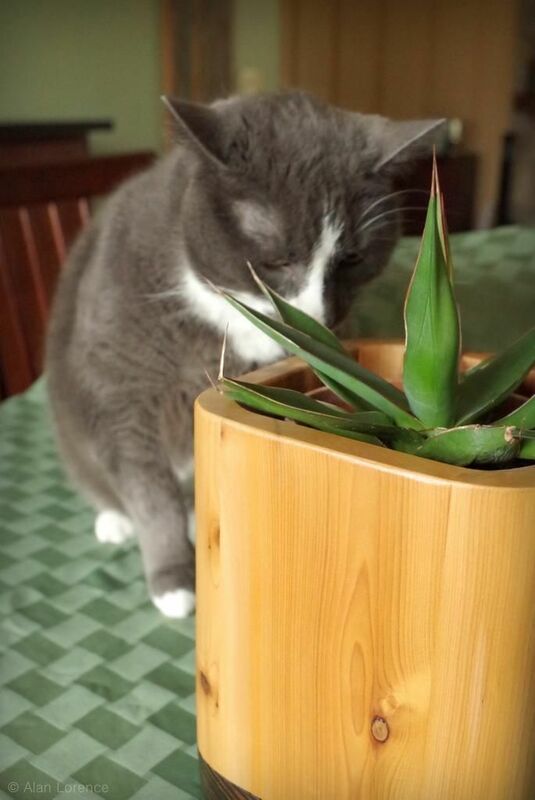 I don't keep the Agaves where they can get at them. Smart design idea! They look great together. Oooh - love it... Very nice! 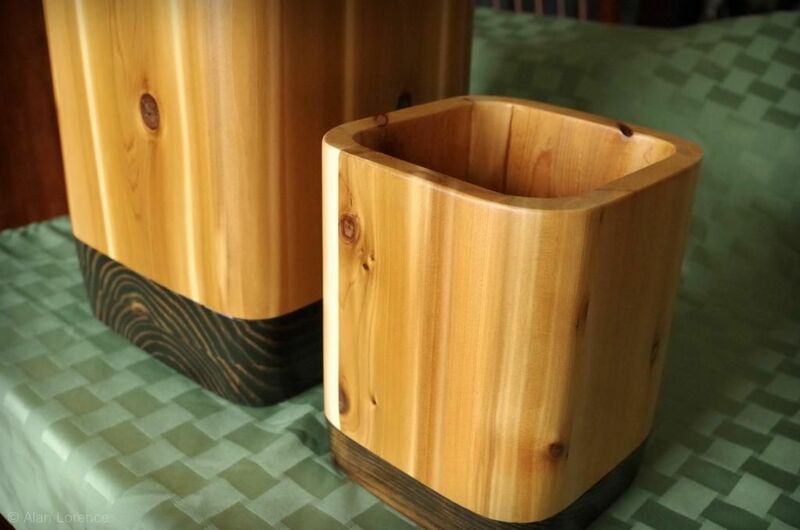 I love your use of wood, both planters are pretty spectacular.